A general catalog for all bearings used in a wide variety of fields, including cars, motorcycles, electric machinery, machine tools, aerospace equipment, OA equipment and other general industrial machinery. A catalog for various large rolling bearings used in steel production equipment, wind power generation equipment, civil engineering machinery and other large industrial machinery. Describes large bearings with internal diameters of 100 mm or more. 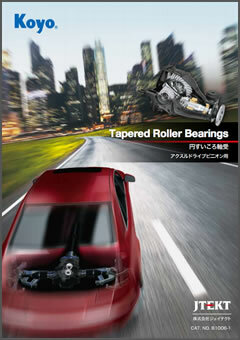 in the "Ball & Roller Bearings" catalog (CAT.NO.B2001E), for improvement in the contents and easier reference. In addition to the single row,　this catalog describes double-row tapered roller bearings of the type listed next. 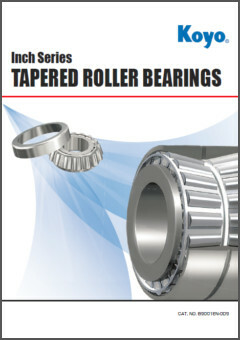 A general catalog for needle roller bearings. A new bearing series that supports special environments, such as clean rooms, vacuum, high-temperature and submerged in chemicals. Sizes vary from 4 to 40 mm (internal diameter). A digested version that briefly summarizes CAT.No.B2004 of the bearing series for special environments (ceramic bearings/EXSEV bearings). Please use it when selecting the bearing right for you. This pamphlet introduces ceramic bearings by model type. Various ceramic bearings are introduced by individual application for easy selection. Gives an introduction on the ceramic manufacturing process, ceramic properties and various performances. A new ceramic ball bearing with a wide operating temperature range which maintains an insulating performance at the same level as the conventional ceramic ball (silicon nitride) bearing as having small clearance change due to temperature from having heat expansion close to the bearing steel. A bearing that achieves significantly lower torque and longer life compared to conventional models by optimizing grease ingredients and contributes to energy-saving and maintenance-free motors. This pamphlet introduces our slim bearings for which the seal groove width has been reduced by welding the shield directly to the outer ring instead of attaching the shield to the outer ring seal groove. Compact and lightweight bearings with equivalent load capacity. Welding the shield to the outer ring has improved the outer ring stiffness and has also fully sealed the outer diameter. 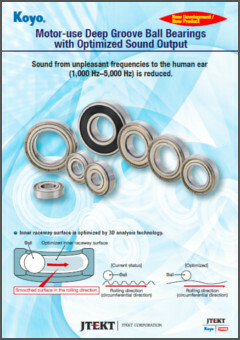 This pamphlet introduces our deep groove ball bearings for which sound from unpleasant frequencies to the human ear has been reduced by optimizing the inner raceway surface through the use of 3D analysis. This pamphlet introduces products supplied by JTEKT for machine tools. This pamphlet introduces high accuracy products such as the cylindrical roller bearing used in machine tool spindles, angular ball bearings and bearings used as support for ball screws. It features a technical explanation with selection criteria and installation examples of bearings, as well as instructions for use with example of damage. 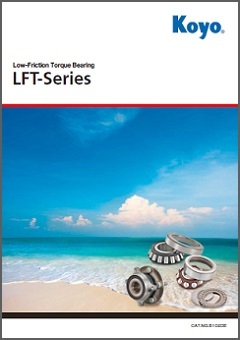 JTEKT's LFT-Series low-friction torque bearings incorporate tapered roller bearing (TRB) technology developed for automotive applications, which is also applied to other bearings. This pamphlet introduces the following products, which we have grouped into a series. 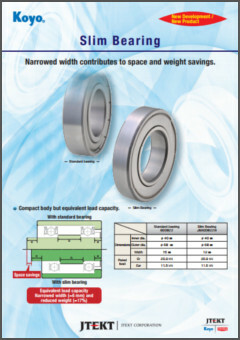 A pamphlet introducing the RZ type spherical roller bearing of the high-performance new-generation bearing [JHS Series]. It comprises of an introduction of the JHS Series and explains about the features and configuration of the JHS Series RZ type spherical roller bearing. 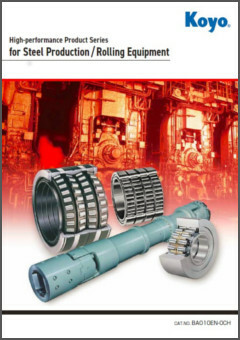 This pamphlet introduces the high performance products (bearings, driveshafts, oil seals) contributing to stable operation of steel production equipment. The pamphlet is broken into two sections; one covering examples of application in the field and the other introducing individual products. This bearing is used in multistage cold rolling mills. The outer ring is subjected to load due to directly making contact with the intermediate roll, therefore it has been given both surface hardness and strong impact ability through the adoption of special bearing material and heat treatment. This has increased its reliability even further. Furthermore, with JHS210 we have responded to customers' demand for a longer service life. This pamphlet features the handling of bearings (disassembly and inspection procedures) and case studies of bearings, damage and countermeasures. This bearing is used in the roller neck of rolling mills. In addition to a dimensions table, this document also features information on handling this bearing covering topics such as specific damage depending on the application. Introduces driveshafts used in steel production and industrial equipment. In addition to a product lineup, an instruction manual, examples of damage and technical documents including selection criteria by application, this pamphlet also features a dimensions table and product introduction (phase adjustment device, hyper coupling). This can be widely utilized by customers for anything from drive-shaft selection to maintenance. This pamphlet introduces the oil seals used in steel production equipment. It primarily discusses the features of products used in the following equipment. The hyper coupling is a torque limiter (interrupting device) protecting the driveline for heavy loads. This document provides an explanation of the hyper coupling operation principle, product features, examples of usage and introduces the lineup. Introduces bearings used in the main spindles, step-up gears and generators of wind power generation equipment. This document also covers oil seals for main spindles, oil pumps and machine tools for the large components of wind power generation equipment. Introduces the functions believed necessary for agricultural and construction machinery as well as JTEKT's technologies and products. This features the drive shaft used in construction machinery and railway cars. It includes technical documents explaining the product lineup, instructions for use and examples of damage. It can be utilized broadly from driveshaft selection to maintenance. This pamphlet introduces the bearings used in aircraft and space. The introduction uses a table summarizing where the bearings are used and the age of the aircraft. Small one-way clutches are used in the clutch mechanisms of OA equipment, ATMs and various ticket vending machines. There is also a section showing the recommended dimensions for the polyacetal resin and steel housing. The traction drive unit was conceived from core bearing technology. It is the optimal reduction device for high accuracy feed due to keeping uneven rotation to a minimum, which is not possible with a gear. 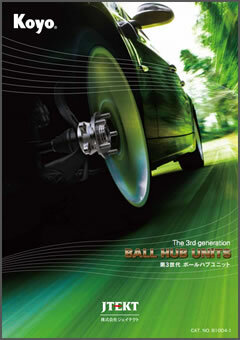 This catalog has information about ball bearing units. Technical descriptions, selection of ball bearing units, and dimensional tables of units, such as pillow block type, take-up type, cartridge type, and ball bearing for units, are included in this catalog. Stainless-series and "compact" series are also included in this catalog. This catalog introduces seal related products such as oil seals, O-rings, backup rings for O-rings, etc. It features a technical explanation edition on handling and abundant dimension charts.